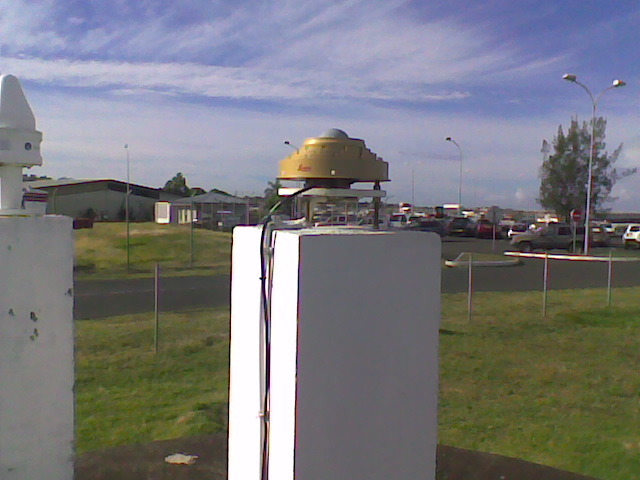 The receiver is located in the Meteo France facilities at the Tahiti-Faaa airport. The Ashtech micro Z receiver was tested and installed at the station in February 2005, plus an Ashtech Chokering antenna. In October 2006 a Javad Legacy receiver was installed. In December 2012 a Septentrio Polarx4 receiver was installed and a Leica AR25.R4 antenna. The receiver is located in the Main Equipment Room of the station. A computer provides for the operation and remote control of the system. The station has pressure, temperature and humidity data hourly available. The communications are carried out using an ADSL connection. Series of pictures showing the horizon mask.